I'm participating in this year's NANOWRIMO. Let's just hope I can write 50,000 words since I didn't make it last fall. My month will be busy as usual because of school, but you know what? It doesn't matter because I really want to write this story I have in mind. For the first time ever, I'm not writing a contemporary romance. I have ideas in that genre, but I'm just really tired of contemporary because I feel like whatever I write is so typical and cheesy and I don't like either of those things. I also want to step out of my comfort zone. The novel that I will write this November is a zombie apocalypse type of story. This novel is inspired by, of course, The Walking Dead. It is not a fanfiction because the only things I took from the tv series are the zombies and the way zombies are killed. Anyway, this is the current cover of the story I will write. I do not know the girl in the picture. I just found this photo on Pinterest. 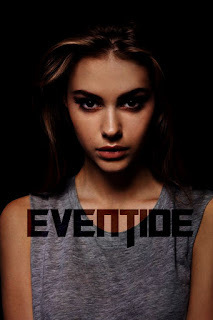 The title is "EVENTIDE" which means "evening". I called it that because something happens every evening/night in the story. That's all I could say for now. I can't wait to start writing!